For those of you who think sports are, well, a bit too much like hard work, take a look at this guy. John Willis is in his 50s, born with no lower legs or forearms, and has decided to try out all 34 Paralympic and Olympic sports. Yes, all of them. And before the end of the Rio Games this year. Check out this video of him in action. Although this was before he tried the Dressage, it’s still 2 and a half minutes that will brighten your day. He is the front man of www.power2inspire.org.uk, an charity set up to inspire people with disabilities to get into sports, despite the challenges they may face. Earlier this year, John decided that to try all of the sports at the Olympics was one great way to raise awareness on the subject, and so far he’s done amazingly well with 22 sports under his belt. 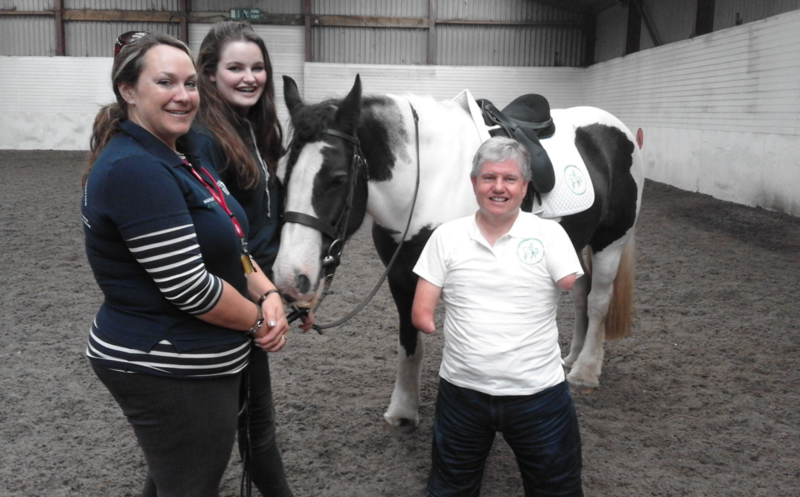 One of his toughest challenges was Equestrian Dressage, “It was a real mental and physical challenge to start riding,” John told Horse & Hound Magazine.